Larry Summers (US Former Treasury Secretary) once exclaimed,” 40 years from now, Blockchain and all that followed from it will figure more prominently in that story than will Bitcoin.” This is the essence of my interest and research in Blockchain Technology. Most of the discussions or information is about Bitcoin investing and its implications on Fintech sector. As the industry is moving towards maximum digitization there is consensus that DevOps practices help you deliver software faster, more reliably, and with fewer errors. So, whether you are from Business side or technical side; DevOps have to be your way forward. DevOps is set of practices and cultural values that have been proven to help organizations of all sizes improve their software release cycles, software quality, security, and ability to get rapid feedback on product development. 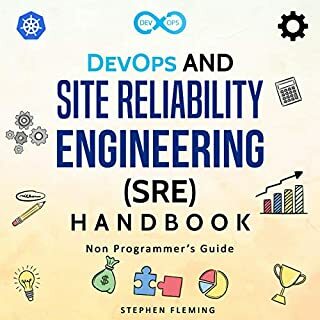 This book is aimed at Consultant, Project Manager and people from techno commercial profiles who would be explaining the benefits of DevOps to client, internal leadership or project teams. As the crux of DevOps methodology lies in cultural transformation of the organization, people who are stakeholders in shaping this change must understand the overall alignment of business goals with this methodology. Software is increasingly being applied to expand the breadth of operational efficiencies in organizations. Today, software is changing every component of the value chain like logistics, operations, and communications. As was with the industrial automation in the 20th century and its impact on the transformation of design, development, and delivery of physical goods, organizations in today’s fast-paced, ever-evolving software market must have a paradigm shift in the way they develop and deliver their software. Get this audiobook bundle now and save money! It is important to learn about DevOps. But DevOps is also very important to modern era. 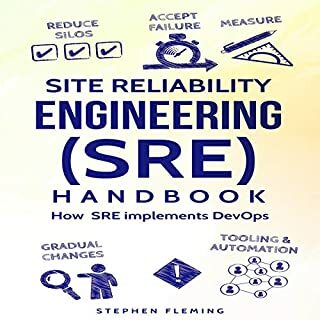 Its very rare that we heard they have any audible book for learning DevOps. Its an new era for programming world. Appreciating content. This book came to me when I most needed it. Thank you Frank Millstein for a great book. I have learned so much from reading this. 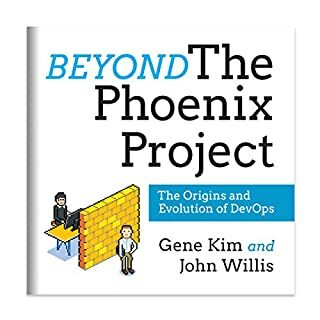 I highly recommend this book for any one looking to improve their teams' ability to coherently problem solve.This is a great introduction to the concepts of DevOps. It covers the main theory and important components of the DevOps mindset. Recommended for people new to the subject. Great book! This is how we should be doing development and operations. I always thought I was leading the charge with change and being agile. This takes it to the next level. I am having my entire team read this book. "The DevOps Handbook" offers a comprehensive picture of DevOps practice, giving just enough detail on each topic to know where to begin and what it looks like when you're doing it right. 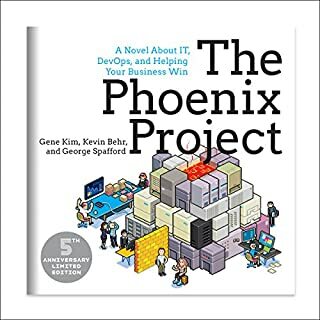 Examples are multitude, and the style is clear.I highly recommend this book for any one looking to improve their teams' ability to coherently problem solve. 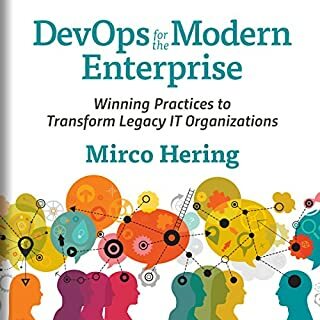 This book really helped me understand the principles and values of DevOps and why this modern culture can be my company's biggest asset. This guide is described in the simple language and easy to understand. I was actually impressed by how much useful information squeezed in such a short book. I found this guide very informative, interesting and practical. I really got much information on all my questions. Really dry and slow. I listened hard to work out if it was a robot voice but it sounds like just a slow narrator. 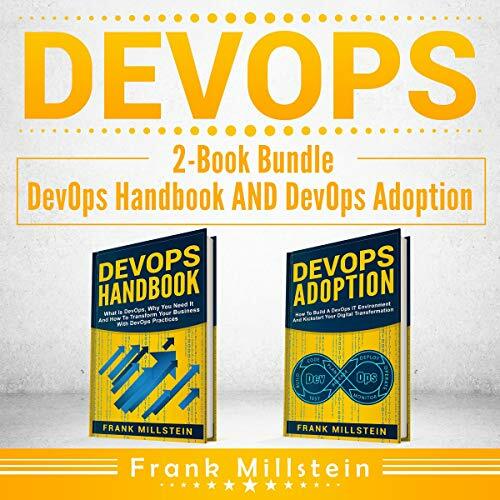 If you are beginner in DevOps with 2-Book Bundle then get this book. This book will teach you decibel that. Appreciating stuff. 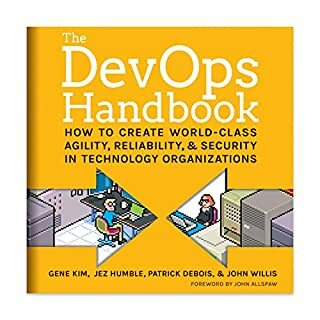 It is important to learn about DevOps Handbook and DevOps Adoption.But DevOps Handbook and DevOps Adoption is also very important to modern era. The content is very helpful in guiding to make careful decisions about different opportunities that exists within crypto currency universe.